Thanks to Arlene V Jennings, CG, Executive Producer of the Voices of Genealogy series and NGS Board Member, who is our guest blogger for this post. The 100th anniversary of the NGSQ is appropriately honored this month by the presentation of an interview with Shirley Langdon Wilcox whose contributions over the years to NGS and the genealogy community are perhaps unparalleled. In 2011 NGS recognized her generosity of time and energy by the creation of the NGS Shirley Langdon Wilcox Award for Exemplary Volunteerism. Shirley was the first recipient of the award now presented each year at the NGS annual conference. Shirley served as president of NGS from 1996 to 2000 making notable contributions to the growth of the society and its services to members. Under her leadership the bylaws were modified for the election of directors from throughout the country, communication with members was greatly enhanced, educational offerings and recognition awards were expanded, and the invaluable NGS standards for genealogical research were developed. Shirley prepared the history of NGS presented at http://www.ngsgenealogy.org and served for many years as chair of the NGS Genealogy Hall of Fame Committee. She leads annual NGS research trips to Salt Lake City, manages the NGS Bible records program, and can be counted on to help out in an array of tasks when help is needed. She remains a devoted contributor to NGS as well as other genealogical organizations. Over the years Shirley has served as president of the Virginia Genealogical Society, as president of the Association of Professional Genealogists, as well as her local chapter of APG, president of two local genealogical societies, trustee for the Board for Certification of Genealogists, as assistant historian for the Mayflower Society in the District of Columbia, as her DAR chapter’s Genealogical Records Chair, and as co-administrator of a Langdon DNA study. In addition to recognition by NGS as a Fellow of the Society in 2001, Shirley has also received the APG Smallwood Award of Merit (1995), the Prince George’s County Genealogical Society’s McCafferty Award of Excellence (1985), and the NGS Board Award (2005). 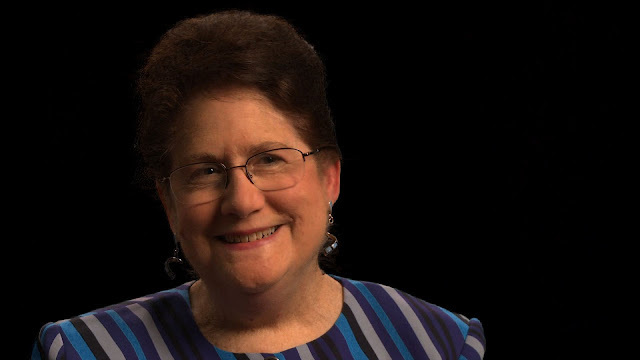 In this month’s interview, the fifth release in the Voices of Genealogy series, Shirley describes her early learning experiences in genealogy, how her education created a solid foundation for her work, and her concerns about the education of genealogists today. The video was produced by award winning filmmakers Kate Geis and Allen Moore from an interview by Melinde Lutz Byrne, CG, FASG, co-editor of the National Genealogical Society Quarterly. This segment has a twist, different from those previously released. We hear a bit of the repartee between Shirley and Melinde. Shirley Langdon Wilcox, CG, FNGS, “Becoming a Genealogist,” is now playing for all NGS members at http://www.ngsgenealogy.org. Previously released in the Voices of Genealogy series and now online at http://www.ngsgenealogy.org/ are Robert C. Anderson, fasg, TAG co-editor and editorial consultant to the NEHGS Register; David L. Greene, phd, fasg, co-editor of The American Genealogist (TAG); Harry Macy, fasg, fgbs, NYG&B Record editor from 1987 to 2006; and George Ely Russell, cg, fasg, fngs, NGSQ editor from 1971 to 1986. To enjoy all member videos, log in at ngsgenealogy.org, go to Members Only, and click the Videos link in the menu on the left of your screen. Comments are welcome. Please contact the executive producer, Arlene V. Jennings, at [email protected]. The video interviews with leading genealogists represent just one of the many opportunities NGS offers its members for learning their skills. Members receive the society’s outstanding quarterly publications, The National Genealogical Society Quarterly and the NGS Magazine, and can also take advantage of free courses and significant discounts on publications, courses, and the NGS annual conference to take place in Las Vegas, Nevada, 8–11 May 2013, Richmond, Virginia, 7-10 May 2014, and St. Louis, Missouri, 13-16 May 2015.